Yoram Cohen says publications about instructions to listen in to the phones of IDF Chief of Staff and Mossad head Pardo are untrue. 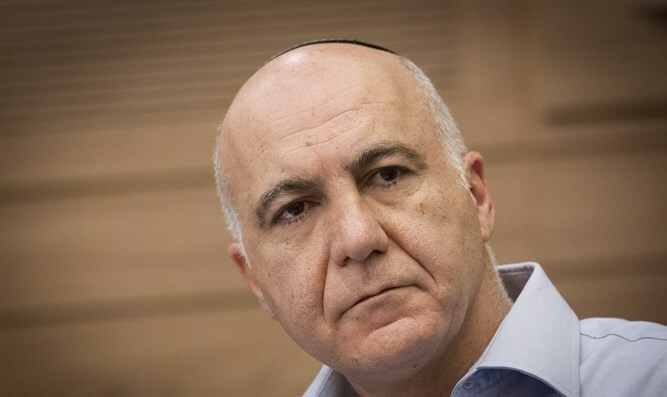 Former head of the Shin Bet intelligence agency, Yoram Cohen, officially denied on Friday the report on Channel 12 yesterday that Prime Minister Binyamin Netanyahu asked him to listen in on the phones of the IDF chief of staff and the Mossad head, several years ago. "I usually do not talk in the media about the professional discourse that takes place between the prime minister and the Shin Bet head," he said. "However – the publications in the media about supposed instructions that the prime minister gave me when I was serving as head of the Shin Bet – to listen in specifically to the phones of Chief of Staff [Benny] Gantz and Mossad head [Tamir] Pardo – are untrue." An earlier denial by Cohen was reported as something that he had said in a closed forum – not an official statement. Another former Shin Bet head, Avi Dichter, explained Friday that wiretapping of the sort that Netanyahu supposedly requested is a virtual impossibility. Any wiretap is subject to the supervision of the Attorney General, he said, and would be included in reports that the Shin Bet hands over to the Attorney General and State Attorney several times a year. Therefore – there would be no way to keep such a matter secret. Netanyahu mocked the report in a video he published on Twitter and Facebook. "A new bombshell report came out yesterday," said Netanyahu in the message. "There's a certain program that claims to present facts, and it claimed that I told the former Shin Bet head to listen in on the phones of the IDF Chief of Staff and the Mossad Chief." "There is only one problem with that: it's a complete lie," the prime minister emphasized. "I'm not the only one saying this; the former Shin Bet head is also saying – it's nonsense, it's a lie."